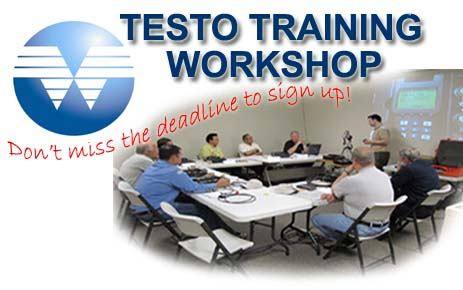 Testo 350 Training, Testo 330,340 Consulting Services & Training Workshops | Don Wolf & Associates, Inc. Testing and Analyzer issues can be eliminated with proper training. Space is limited! Class held in-house at: 21955 Plummer Street - Chatsworth, CA 91311. For on-location training, please call 800-266-2046.